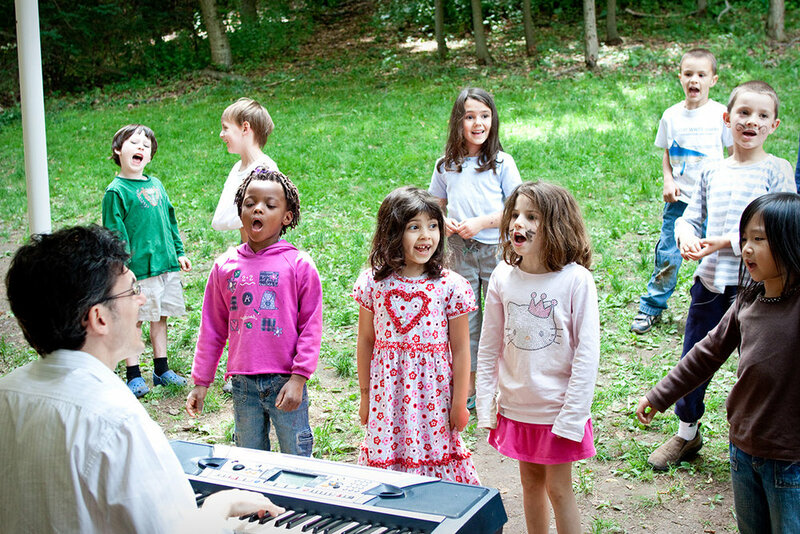 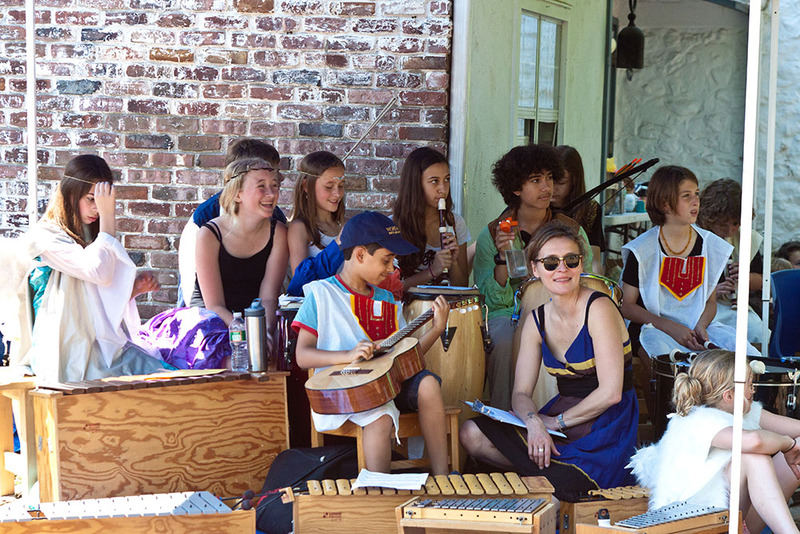 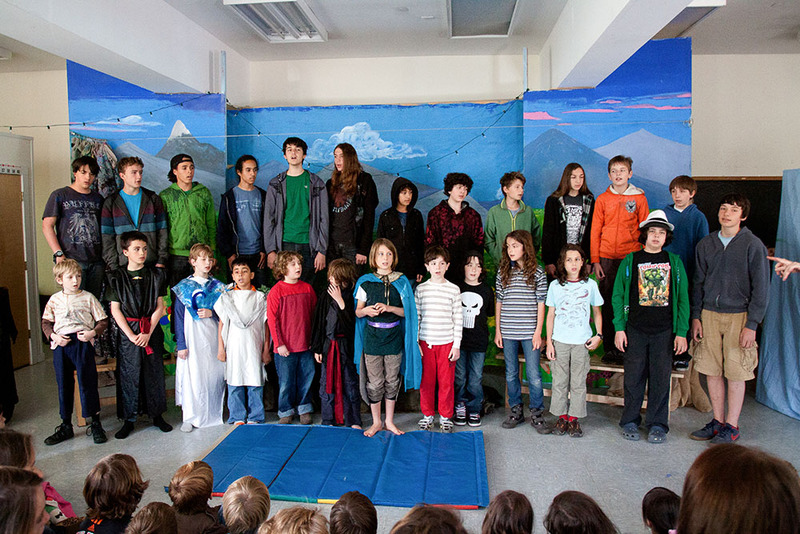 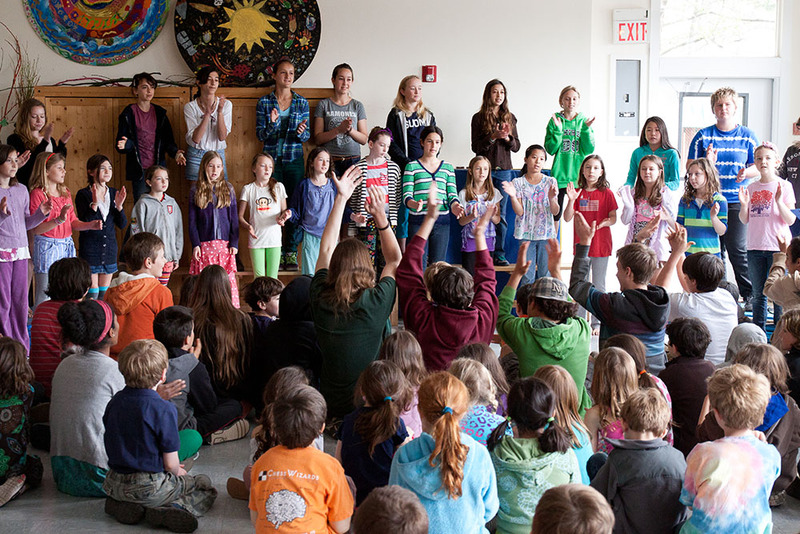 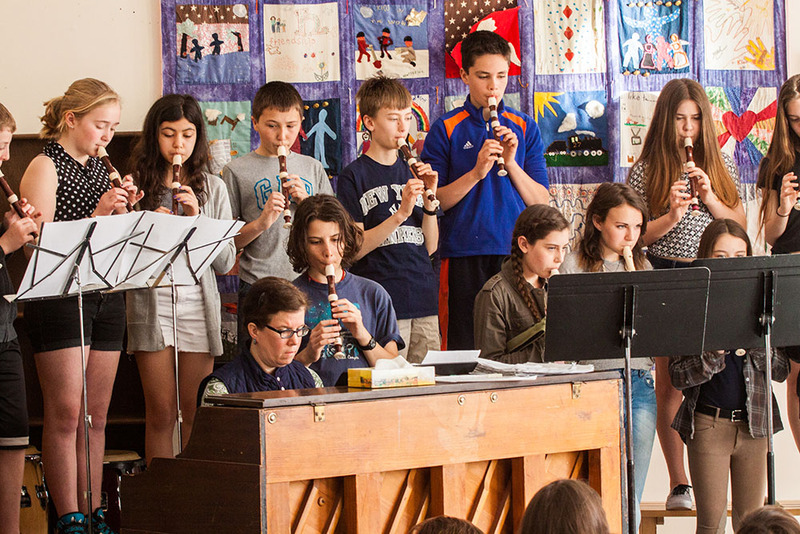 Music at Blue Rock School begins with using students’ natural, spontaneous response to music as a catalyst for developing children into players, singers and lovers of music. 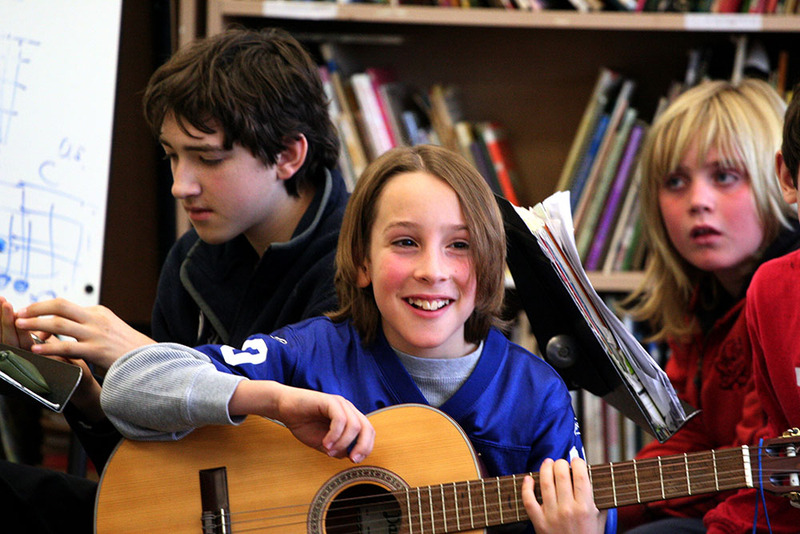 Enjoying moving to a class-composed song. 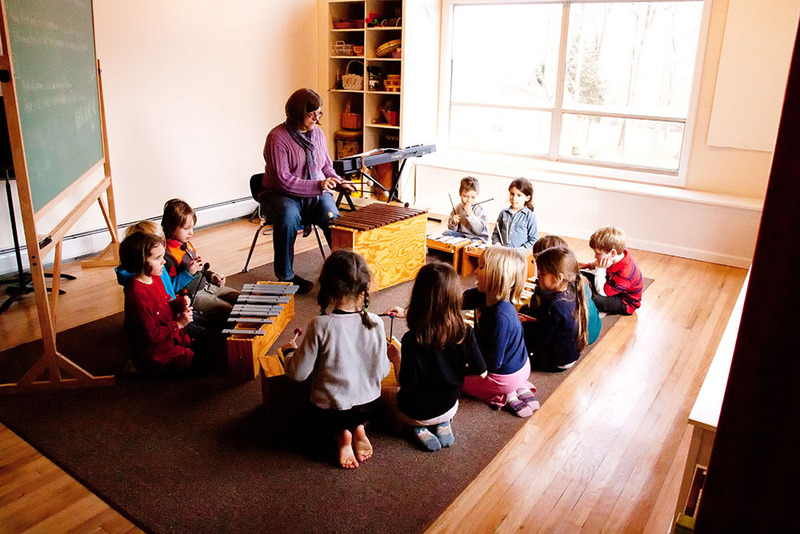 On the board is the rhythm notation that the children experienced in real time as they developed their composition. 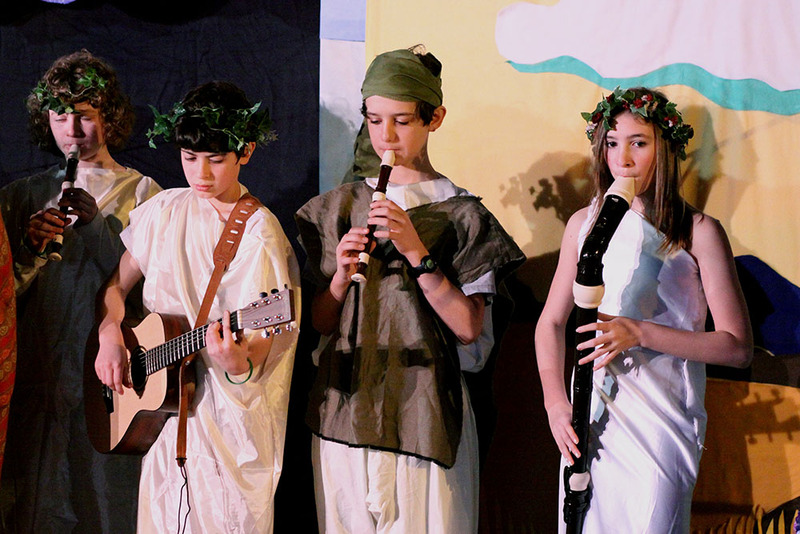 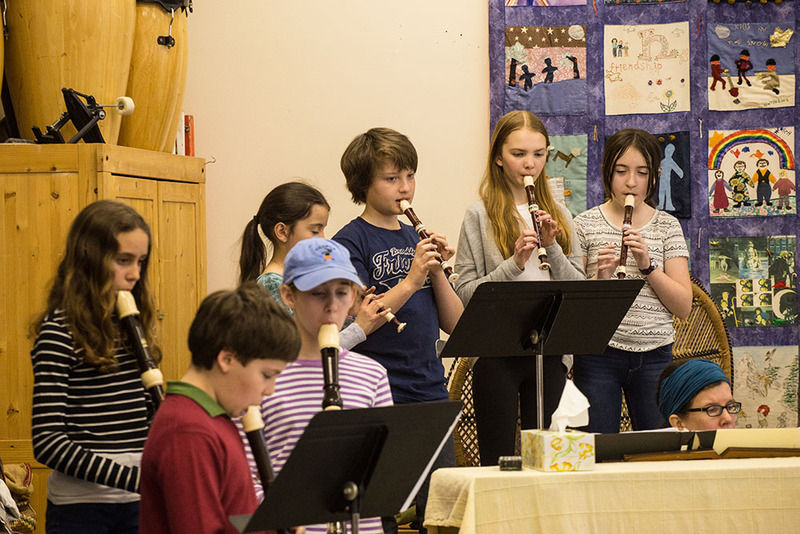 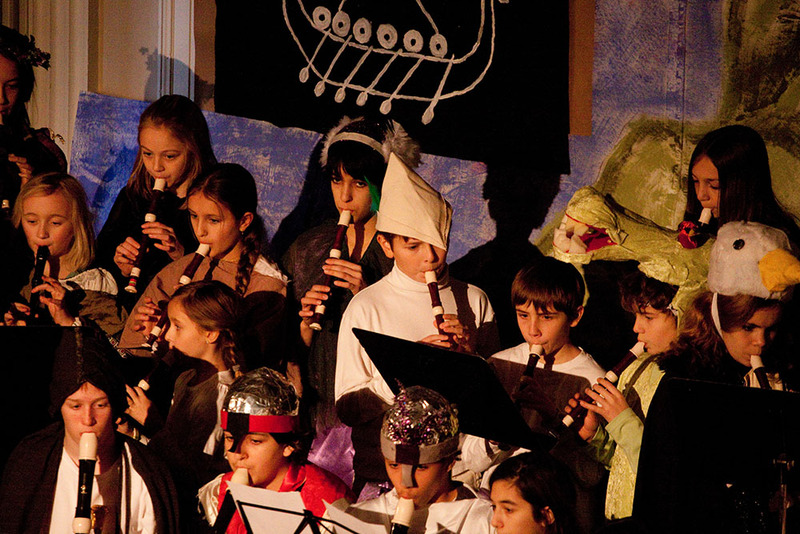 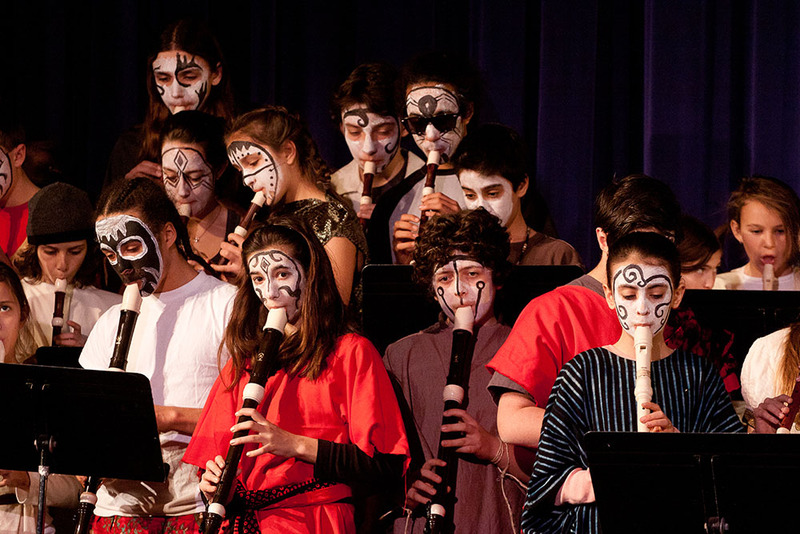 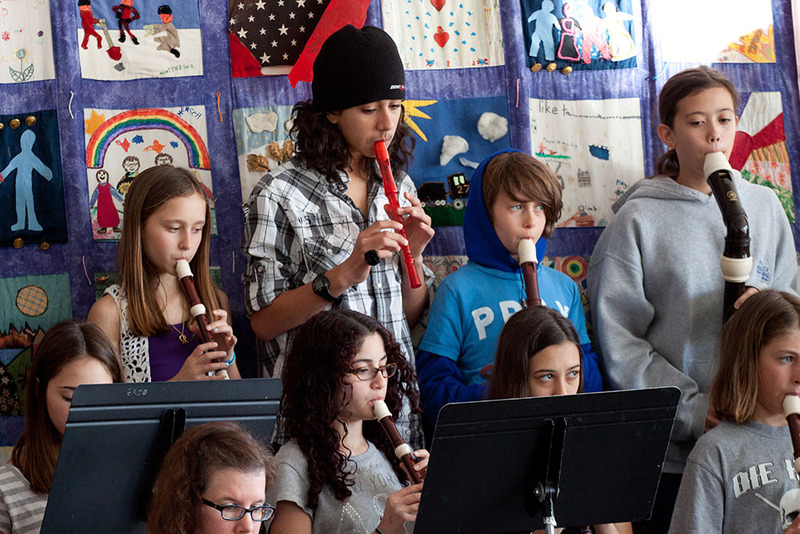 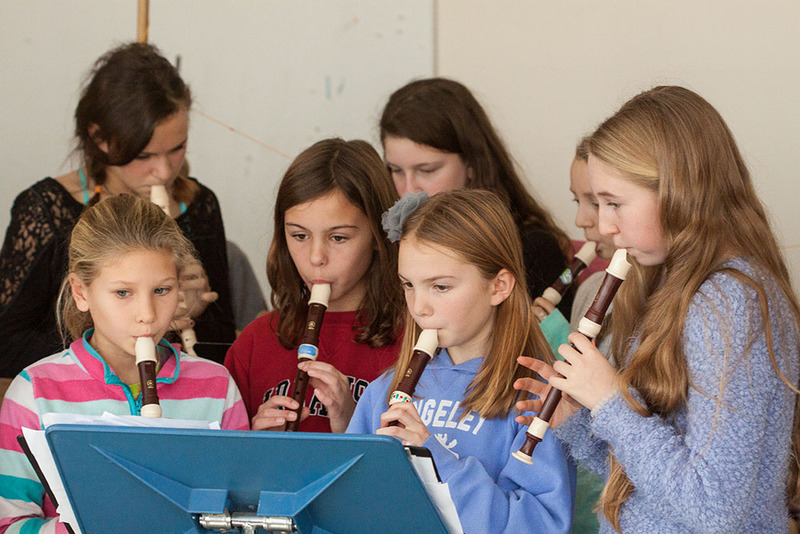 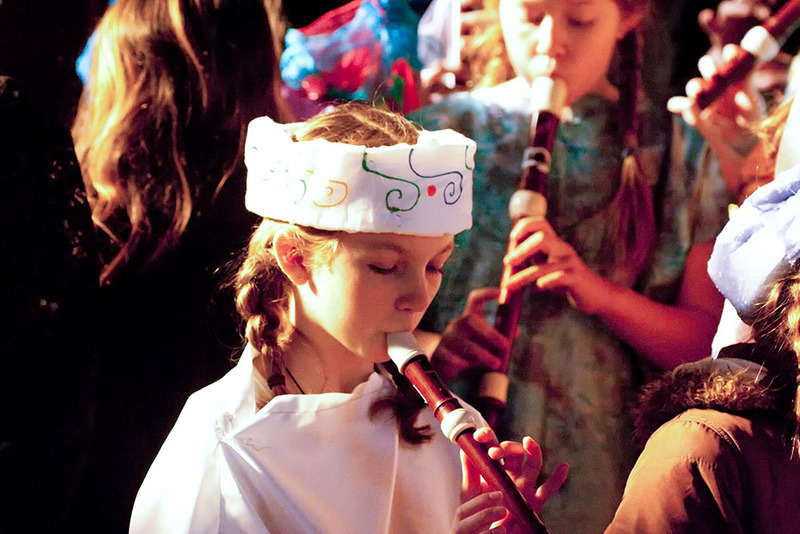 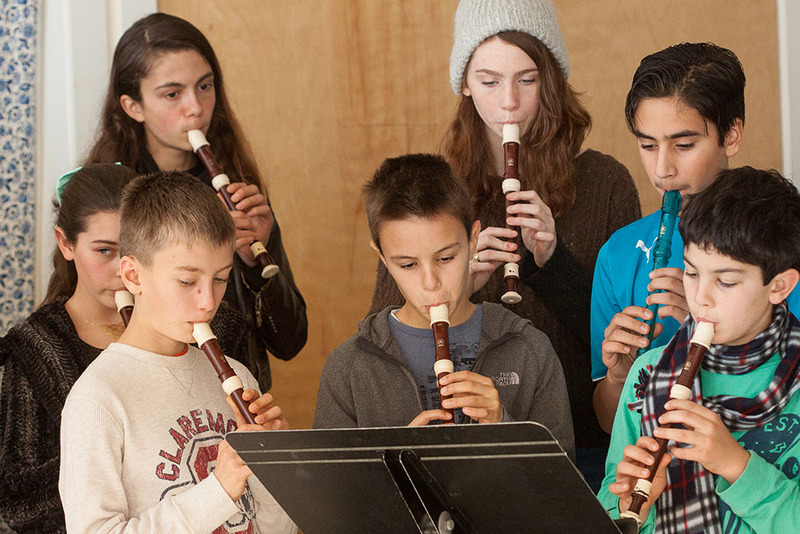 The recorder program forms the backbone of the instrumental music program and allows all students to learn to read music and play in an ensemble. 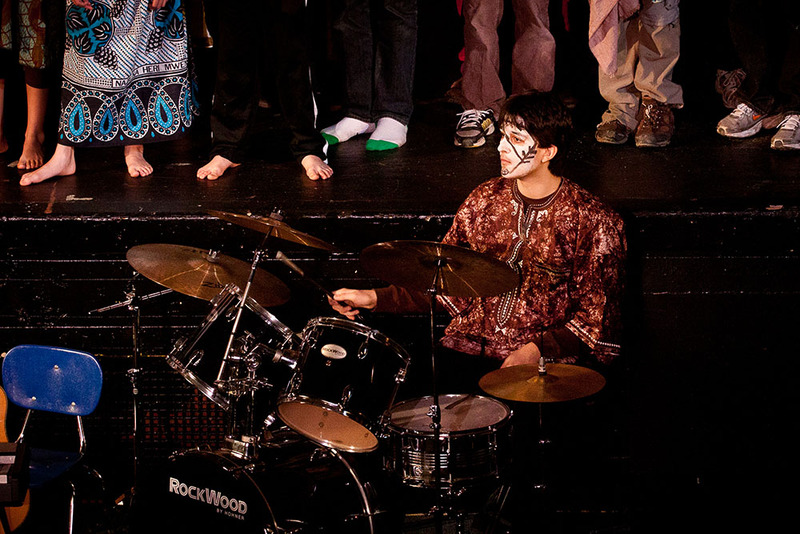 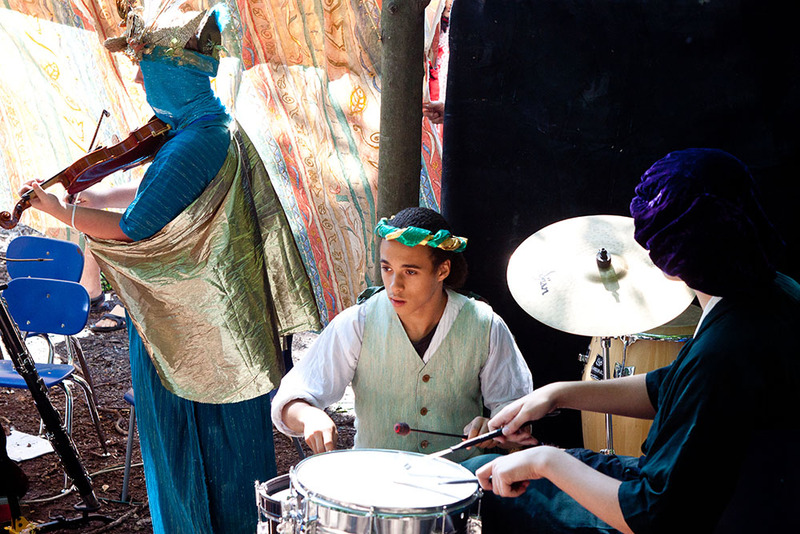 We actively work to help the children incorporate instruments they study outside of school into their Blue Rock performances. 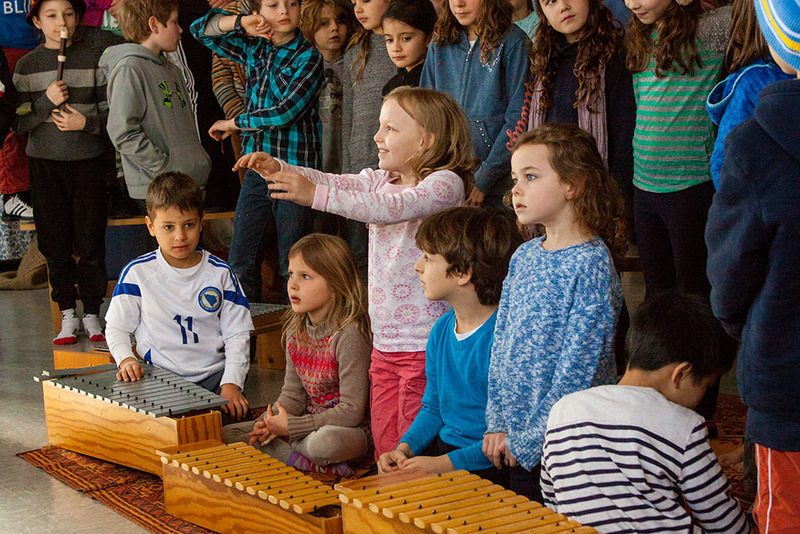 Learning to play accompaniment on Orff instruments is a key component of both music literacy and improvisation. 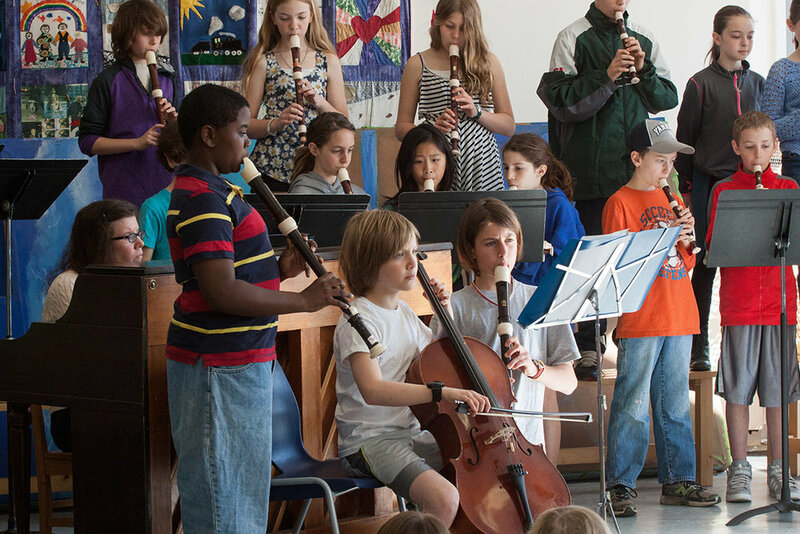 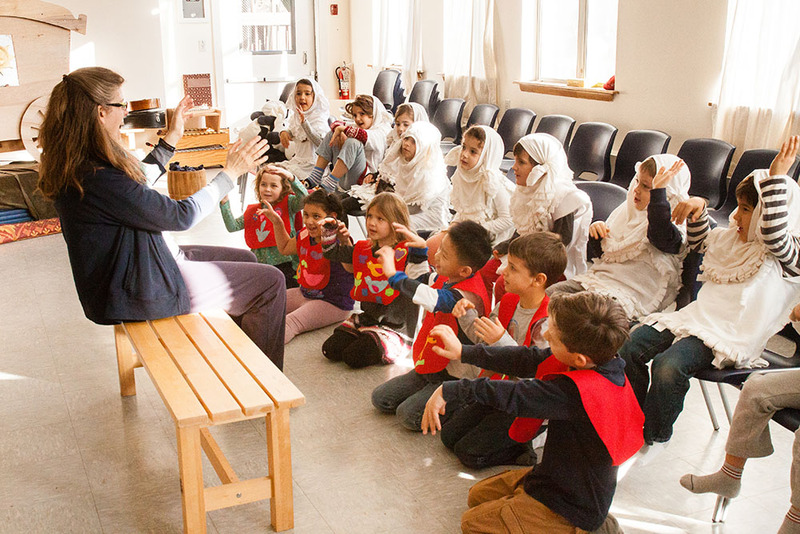 We love welcoming guest artists to enrich our music study and expose children to a diverse array of musical genres. 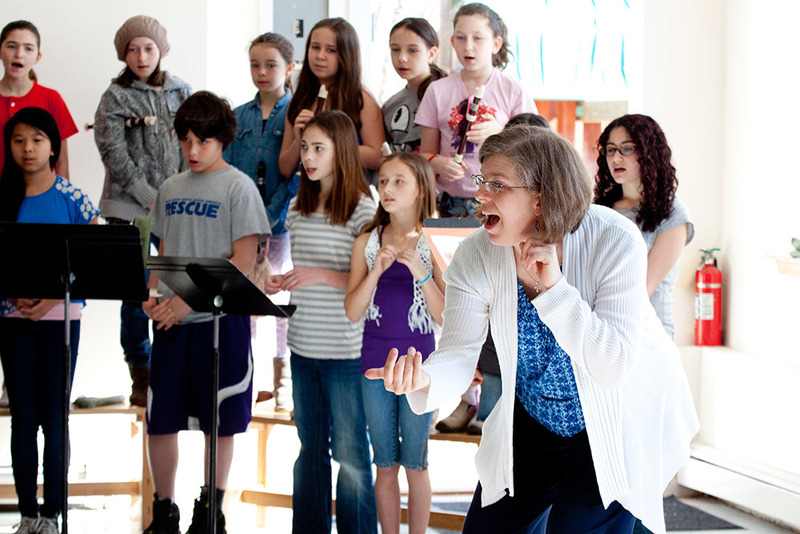 Choral ensemble work is a foundation of music study at Blue Rock and begins in a gentle manner from the first days of singing together in Kindergarten. 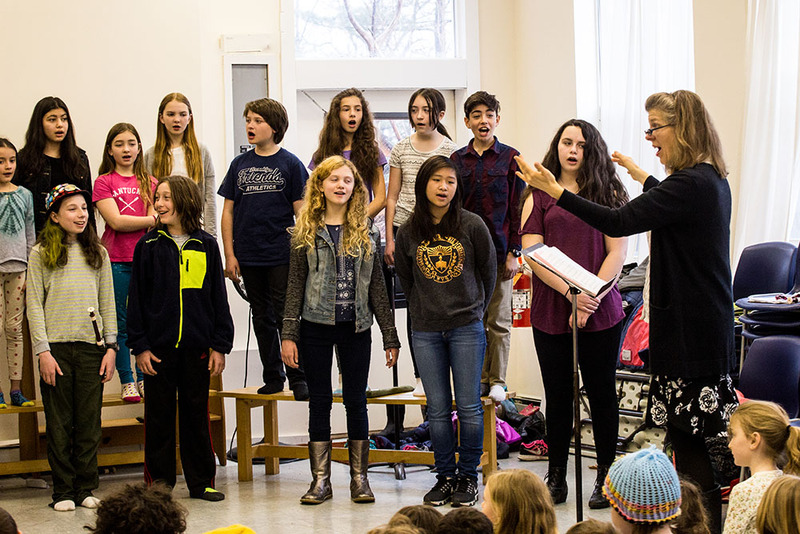 The upper grade choir regularly sings in 3 and 4 part harmony.